organisations in Australia: Peace Palette, Oromia Support Group Australia, Mamaland Hope for Future Foundation, Darfur Community Association of Australia & Darfur Australia Network and Wec Nyin Australia. 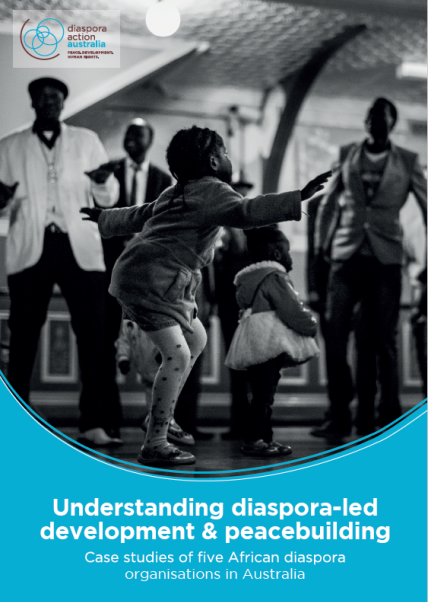 In addition these case studies show diasporas as innovators of the new humanitarian landscape. The five organisations that took part in this study make valuable contributions to development, peacebuilding, human rights and humanitarian assistance in their countries of origin. They have unique strengths and insights, particularly due to their intimate understandings of the context, cultural norms, social and political structures (both in countries of origin and in Australia), and the dynamics of the (post) conflict and its effect on civilians.